This wallpaper is made of vinyl (PVC) on paper composed of 100% FSC paper. The plastic vinyl top layer is strong, durable and very washable. This makes vinyl wallpaper is well applicable in all areas of the home, including kitchen and bathroom. With this trendy wallpaper with plain linen texture in beige you bring a lot of warmth and atmosphere into your home! You can combine this wallpaper with many styles and is an ideal alternative to paint. In short: an absolute must-have. The wallpaper print is printed on a high-quality and environmentally friendly, FSC® certified non-woven wallpaper. The wallpaper is produced in a sustainable way and the inks used in the manufacturing process are water-based and solvent free. 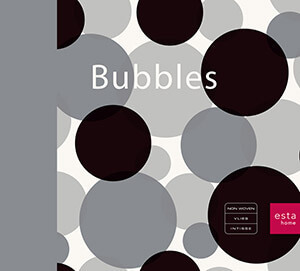 You will find this wallpaper with plain linen texture in beige (135408) the collection Bubbles.